CD review: "ConstruKCtion of Light"
Perhaps it's no more than coincidence that two of the best albums released this year by rock bands best known for their work from the '70s are by two of the bands most immersed in jazz. Steely Dan's "Two Against Nature" picked up right where 1980's "Gaucho" left off, and is as good an album as that band ever released. Equally good  and far more challenging  is King Crimson's latest, "ConstruKCtion of Light." Just as Steely Dan went from a large cooperative band to the duo of Donald Fagen and Walter Becker, so has King Crimson finally become the vision and possession of guitarist Robert Fripp, the only remaining member from that band's 1969 debut, "In the Court of the Crimson King." But if Fripp is the only physical consistency to King Crimson, there has always been an artistic consistency transcending the various lineups. Everything with the King Crimson moniker on it has had a certain essence  a dark metallic sheen, an urgency about matters, a certain Alice in Wonderland surrealism. And so it is with "ConstruKCtion of Light," on which Fripp is again reunited with fellow guitarist Adrian Belew, who teamed with Fripp in the band's stripped-down incarnation of the early '80s. While "ConstruKCtion" has a strong industrial edge to it not present on the first incarnation of KC in '69, that heavy, dominating bass and drum backbone remains. And this latest is even more edgy than the band's second incarnation, the Fripp-Belew crew that produced albums like "Three of a Perfect Pair," "Beat" and "Discipline." While the first go-round of Fripp-Belew was rounded out by bassist Tony Levin and drummer Bill Bruford, the current lineup has replaced them with Trey Gunn (touch guitar, whatever that is) and drummer Pat Mastelotto. Perhaps it's this regular infusion of new talent that's kept King Crimson from becoming either just another oldies band playing its old hits or devolving into the kind of pompous irrelevance that seems to have been the curse of most of the other art-rock bands, groups like Yes, Alan Parsons Project or even Pink Floyd once Roger Waters took over. Whatever the reasons, several of the tracks on "ConstruKCtion" are among the best the band has ever recorded. The opening "ProzaKC Blues" is reminiscent of the band 's mid-'70s power trio period, with its harsh guitar leads and thunderous rhythms. The two-part title song is more akin to the band's early '80s output, with it's Talking Heads influences and traces of accessibility. "Oyster Soup," with its highly distorted vocals and thick, roiling wall of sound, is a bit of a throwback to the band's earliest days. And the 13-minute "Larks Part 4" is a tight, rolling synthesis of all the different versions of King Crimson, tying the band's history to date up into a single composition. 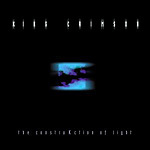 "ConstruKCtion of Light" shows King Crimson to be alive and well more than three decades after its start.